You can trace Anaheim’s commitment to craft beer to at least 1870. That’s when the very first edition of the Anaheim Gazette was published, complete with an advertisement for the town’s premier beer provider, Anaheim Brewery. But Anaheim Brewery fell victim to the Constitutional Debbie Downer that was Prohibition in 1920, as did the beer scene in Anaheim. But Barbara Gerovac revived the Anaheim Brewery brand in 2010 with her husband, and helped to kick off a revival of the Anaheim beer scene itself. “Anaheim in 2010 was not much of a beer town,” Gerovac says. But the professional brewing couple lived in the city and loved it. They felt that it was high time to bring their brewing talents home. And the mayor of Anaheim agreed. While the Gerovacs were mulling their new venture, the mayor was lobbying to transform the city back into the beer destination it once was. “[Mayor] Tom Tait called a meeting of brewers, beer lovers and city officials. And he asked why Anaheim couldn’t be the next San Diego,” Gerovac says. Tait created a task force to help brewers open tap rooms and brew houses in Anaheim. He cut the red tape (which brewers in L.A. often end up hog tied by) and put out the word that Anaheim was a city friendly to craft beer culture. The word certainly got out. There are six craft breweries within the city limits today, and six more breweries are set to open by the end of the year. Chief among the established breweries are Noble Ale Works, which crafts wonderfully balanced IPAs and a golden stout called Naughty Sauce that has a cult following; and Bottle Logic Brewing, a mad scientist-themed brewery with delightful reworkings of traditional styles. Notable on the list of to-be-opened breweries: The Bruery’s sour-focused spin off project (Bruery Terreux) and a Golden Road outpost devoted to small batch and specialty beers. 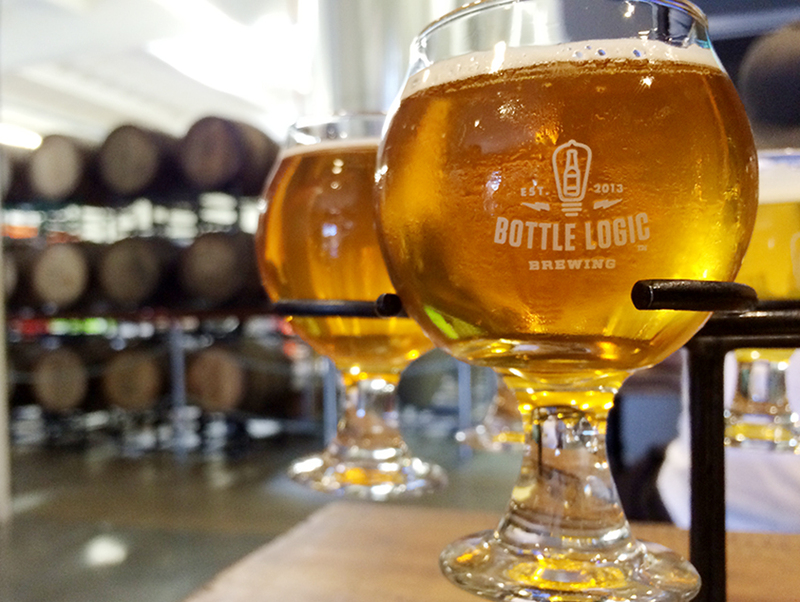 “We don’t think of it as competition—we’re excited!” says Steve Napolitano, co-founder and president of Bottle Logic, which opened in 2014. He says that no one goes to Napa for just one winery. They go because there is an entire wine scene there. And Anaheim is quickly developing a must-visit beer scene.